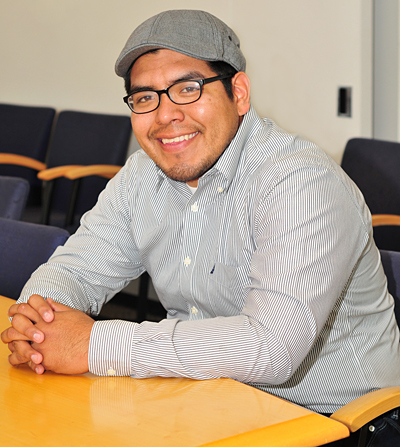 Uriel Rivera overcame a maze of obstacles to be in the United States, not the least of which was living in the shadows of society as an undocumented immigrant. He excelled academically, volunteered in the community, had a vision of helping others and earned admission to the world’s greatest public university. But his dreams were nearly dashed because his status barred him from applying for publicly funded scholarships, grants or loans. 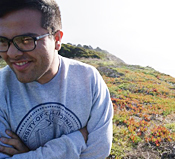 Those dreams may get back on track soon, thanks in part to the announcement today (Tuesday, Dec. 11) that the Evelyn and Walter Haas, Jr. Fund has awarded $1 million to UC Berkeley for scholarships for undocumented students — a life changer for students like Rivera. This is the single-largest gift for scholarships of this type at a U.S. university. The gift will assist the nearly 200 undocumented students at UC Berkeley from 20 different countries who currently qualify, and will help more in the future. These students are not eligible for federal Pell grants, federally backed loans or work-study positions. Their average family income is $24,000. As public support for comprehensive immigration reform grows — and with it, an acknowledgement of the plight of students who came to the United States as children and are hampered by their immigration status as they pursue higher education and careers — UC Berkeley is leading the nation in assisting its students who are undocumented. Most of these students were brought to this country by their parents, were educated in California’s public schools and achieved academic success, despite barriers resulting from their legal status. As a diligent high school student in Los Angeles, Rivera thrived in the classroom and juggled numerous family responsibilities, volunteered, worked in a convenience store owned by his family and did homework from 10 p.m. until midnight every night. At UC Berkeley, he embraced campus life, becoming active in student government, but was forced to drop out more than a year ago when he couldn’t keep up with the cost of tuition. Next semester, with money he earned working at the store and new state financial aid made possible by the passage of the California Dream Act, he’ll return to finish his studies. In the fall, funding from the new Haas, Jr. Fund scholarships will provide additional and much-needed resources for Rivera and others who don’t qualify for federal student aid. In 2011, the state Legislature passed the two-part California Dream Act, ensuring that undocumented immigrants have the same access to state financial aid as all other low-income students. Undocumented students can now receive privately funded scholarships through UC Berkeley and eventually will receive Cal Grants and state-funded scholarships. Shortly after the California Dream Act passed, UC Berkeley was one of the state’s first public universities to provide significant aid to undocumented students. This new gift from the Haas, Jr. Fund helps to fill the gap left by students’ inability to receive federal funds. The scholarships are part of a comprehensive plan at UC Berkeley to address the unique challenges undocumented students face. New services launching this semester also include support for those enrolled in a campus summer program to help high schoolers transition to UC Berkeley, funds for emergency needs, an online resource that centralizes information for the students and their families, legal services support, a textbook lending library and mental health resources. An additional gift of $300,000 by Elise Haas will support services for undocumented students, including UC Berkeley’s new Robert D. Haas Dreamers Resource Center, named in honor of Elise Haas’s father. “UC Berkeley’s comprehensive approach to supporting undocumented students is truly a model for colleges and universities around the country,” said Katharine Gin, co-founder and executive director of Educators for Fair Consideration, a San Francisco-based organization that supports undocumented students in their pursuit of college, career and citizenship.